It's funny, when looking at my work it seems I have a real love of colour, (I like working around colour when styling as it keeps my ideas focussed and also ties images together, keeping everything consistent). Yet in reality there are very few pops of colour in my wardrobe. 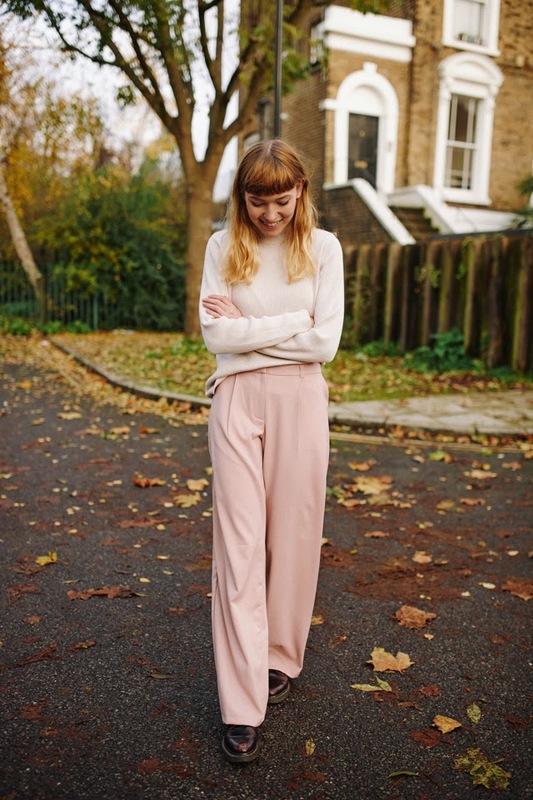 When the brand Lavish Alice asked if I'd like to review something from their winter range however, I couldn't help but notice this super cool pair of pale pink, wide leg trousers. I like that although they're pink, the colour is still very soft and neutral, and they're a fabulous fit too! They literally just fall from the waist - I can't wait to use them in a photoshoot! I can also picture myself wearing them out to a club with a cropped tee or tucked in blouse and heels. 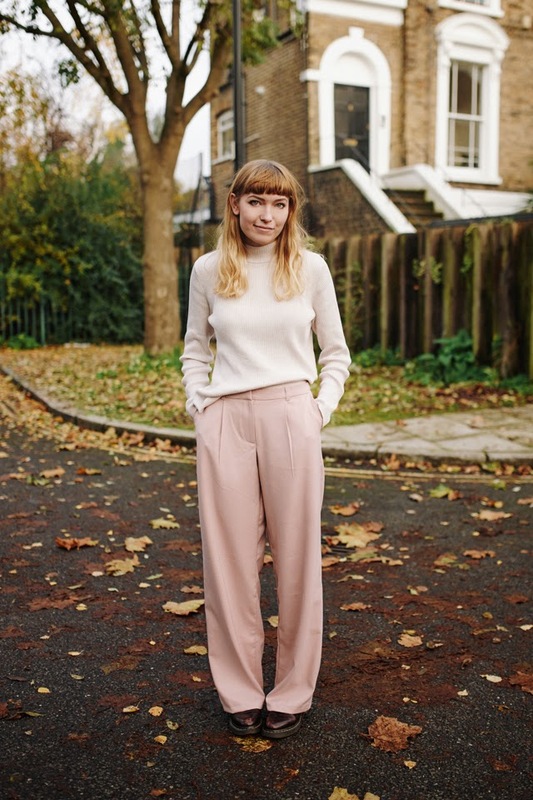 Here I've styled them in a more casual way though with a slouchy jumper, picked up from a charity shop in Crouch End, and my beloved Dr Martens. DM are actually running an offer this weekend which saves you £25 when you spend £125 or more online; simply head over to the Dr Martens website and use the discount code DMBLACK14 at the checkout! The code expires at Midnight this Monday... go go go! I love your outfits so much! Every single one of them. Absolutely love this outfit! The trousers are amazing!